In today’s market, earbuds are plentiful from a plethora of companies all looking to get a slice of the market all to themselves. 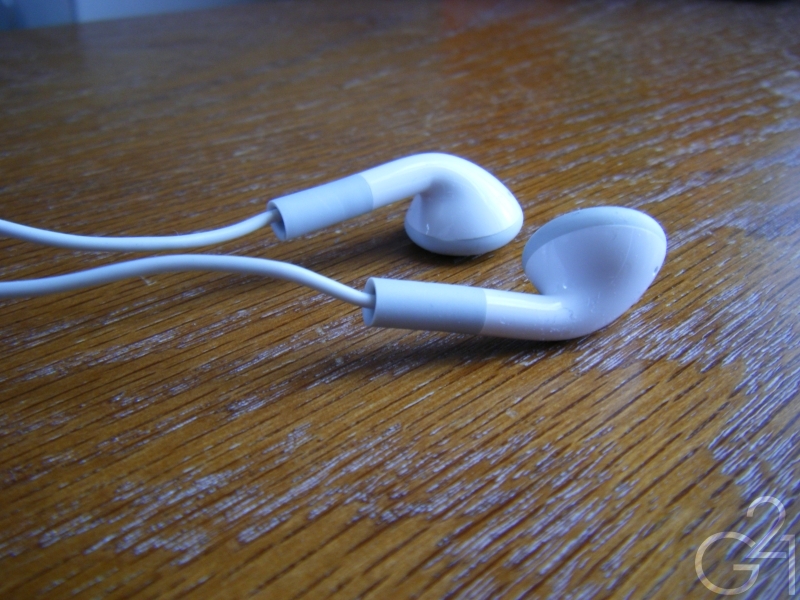 Apple has commanded a great deal of marketshare with its iPod line of products to the point that it’s hard to walk around and not see a pair of earbuds dangling from someone’s ears and, more often than not, they’ll be stock earbuds. After so many years of using IEMs and quality headphones, I couldn’t see how people could enjoy using stock earbuds, assuming that they were nothing short of sonic garbage. A few weeks ago, I began to think, “How do people actually enjoy these things?” I also began to wonder if they sound better than I’d previously given them credit for. Well, seeing as I had a pair of iBuds lying around that I received with my iPod Touch and never used as well as a pair of Zune stock earbuds that came packaged with my first generation 30GB Zune player that I also never used. Considering that I had never used either of these IEMs and the rivalry between Microsoft and Apple is quite heated, I decided to pit the two against each other in a comparison and contrast review. 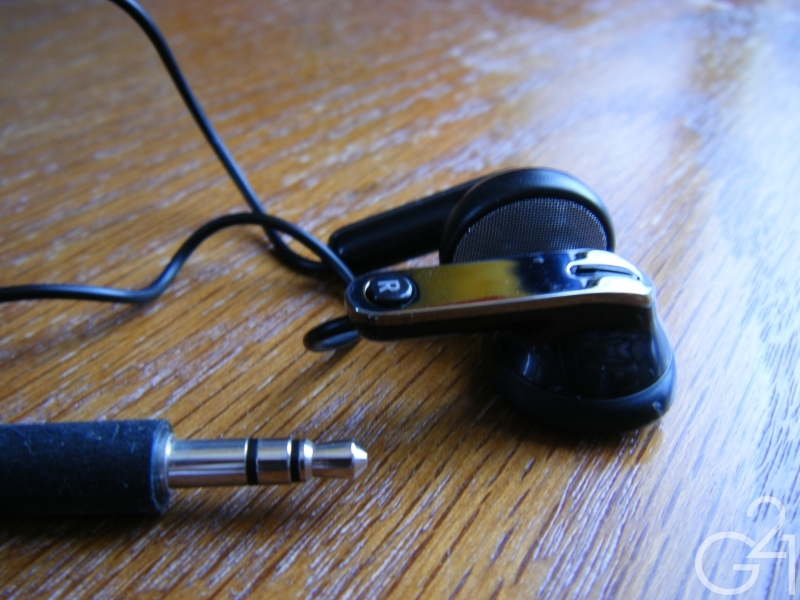 With that said, I invite you to read my thoughts on the Zune and iPod earbuds. 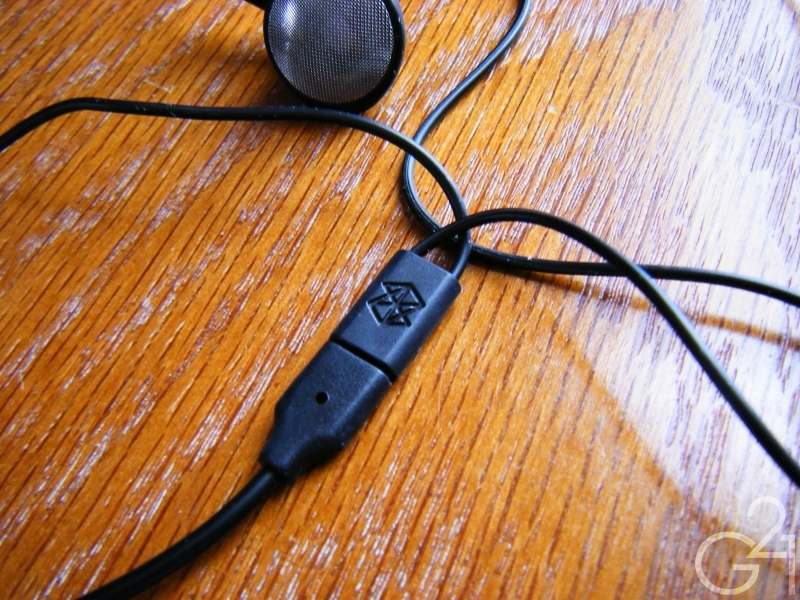 Zune Buds: These have a somewhat different build than your average earbuds with their eye catching metal backing and built in magnets which are designed to keep the earbuds themselves connected and, while more than a little bit gimmicky, they do a decent job of cutting down on tangling when not in use. Build quality is decent enough. 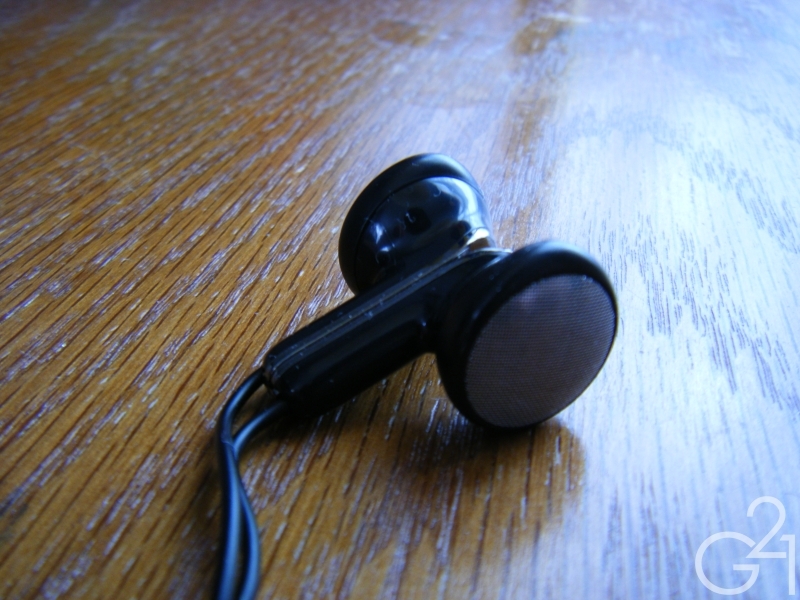 The earbuds themselves are comprised of a hard plastic and metal backing which feels very durable. The cabling is thin and plasticky, a tad thinner than the cable on the iBuds but terminates in a longer straight plug which is also covered in heatshrink tubing which makes it more or less as durable feeling as that of the iBuds. The earbud stems are short and don’t feature any strain reliefs whatsoever, not a good thing at all in terms of long term durability. iBuds: It’s hard to describe these. On one hand, they are entirely generic in design but I suspect that’s only because of the fact that they are so prolific in our modern society that people think of Apple’s earbuds when the word earbud is even mentioned. So many earbuds have arisen to try to copy Apple’s design and it has changed so little over the years that the design itself is rather stale. 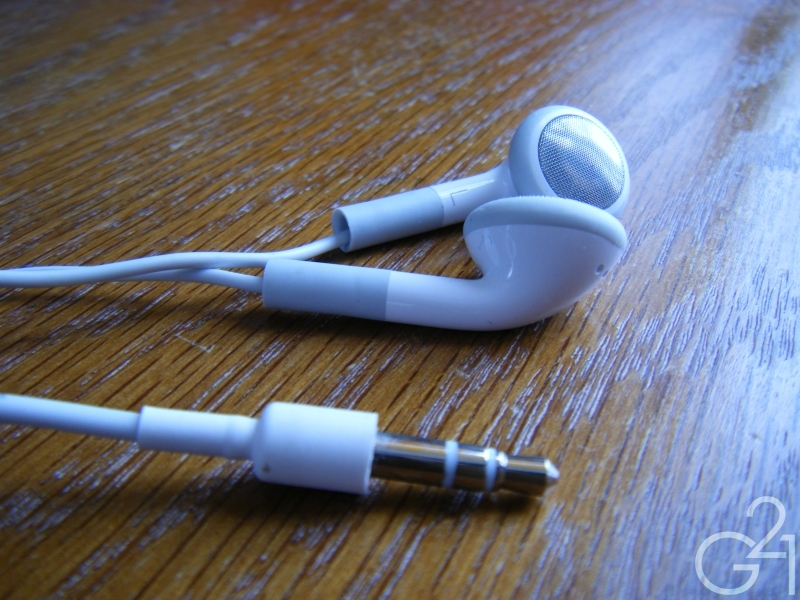 In terms of build quality, these are certainly not earbuds you can toss around or abuse and expect them to last. The cable is rubbery, leaning on plasticky and terminates in a heatshrink covered straight plug. The buds themselves are entirely plastic with metal filters and a small band of silicone going around the earbud itself which both acts to stabilize the earbuds in your ear and provide a marginal increase in comfort. The stems leading into the earbuds are on the longish side but the lower part of the stem is made of a soft and reasonably flexible silicone which acts as a mild strain relief and is a nice touch. The build quality on both of these sets of earbuds smacks of “disposable” and thus doesn’t give the impression of long term durability. These are designed to be knock around earbuds, earbuds you can toss into your pocket or bag alongside your MP3 player and forget about and, when they do finally break, are easily and inexpensively replaced. Zune Buds: The foam makes the difference here. Without the foam sleeves, it’s almost impossible to keep these things in my ears but with them, the foam goes a long way towards making listening experiences with these in my ears at least somewhat pleasant. iBuds: The less said about how “comfortable” these are, the better. Seriously, even using them for a few minutes at a time during my testing was too long and I began to yearn for the comfort of my IEMs. Apple added a ring of silicone around the outer casing to make them a tad more comfortable but that doesn’t help matters much at all. It’s a wonder people can stand having these things in their ears for any prolonged length of time. I don’t know how so many people can stand wearing these for long but hey, more power to them. For me, earbuds have never been top performers in terms of comfort, even in the years before I discovered IEMs and these two are no exceptions. That said, the Zune buds are the clear winners in this category, if only because they shipped with a pair of foam sleeves which help stabilize the earbuds in my ears and add a tiny bit of comfort between my ears and the driver. Zune buds: The Zune buds have a darker, fuller sound than the iBuds. Bass in is a tiny bit muddier and less controlled than the iBuds but it hits harder and there’s more of it to go around. The amount of bass isn’t excessive and rounds out the sound signature nicely, working well for hip-hop. The midrange is a bit veiled but still decently clear. Vocals are fuller, enhanced a bit by the bigger bass and instruments have slightly more natural sound to them. Treble is darker and laid back in comparison to the iBuds but lacks the sibilance that can be heard as you go up the frequency range. Highs are smooth and non-fatiguing, which makes for an enjoyable listening experience. The sound signature is darker and warmer than that of the iBuds because of the smoother treble, slightly veiled midrange and fuller low end. The soundstage is rather small and enclosed in comparison to the iBuds but positioning is decent and it doesn’t feel too congested. Overall, I’d sum up the Zune buds as laid back and a tiny bit bassy which can be a good or bad thing, depending on your tastes. 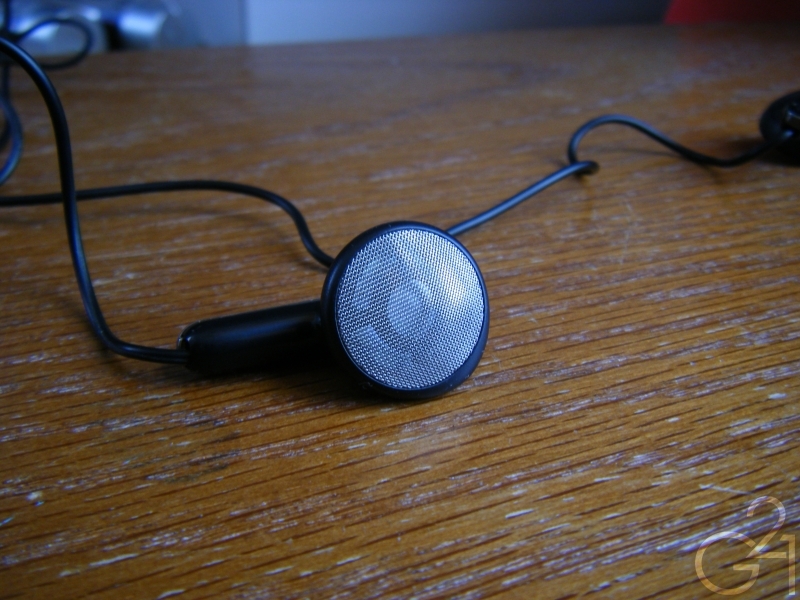 iBuds: Whereas the Zune buds sounded somewhat dark and a bit enclosed in my testing, the iBuds are almost their polar opposites, with a very bright and open sound than the Zune Buds. Bass is lacking in terms of quantity but not in impact or control. The low end is decently refined, detailed and controlled, a tiny bit more so than the Zune buds. Bass is there but bass-heads will likely wish there was more of it. Going back and forth between the two, I wish the low end was a bit more authoritative, which would’ve added a bit more excitement to my lineup of test tracks. The real star of the show here is the midrange. I’m actually quite surprised how well defined and clear the midrange is. Taking center stage, mids are pushed forward and are very aggressive. Detail and clarity are both decent as well. Treble is also quite good, if a good deal brighter than I’d like. One thing that put me off about the treble is, because of its brightness, it’s also a bit harsh and sharp and can make some tracks rather fatiguing to listen to. High end extension is impressive and despite the harshness, highs are clear and decently well detailed. Right off the bat, I noticed that these have a very airy and open sound signature. The soundstage is surprisingly wide and open and positioning is decent. The performance of these earbuds was adequate for casual listening and thoroughly unspectacular. Both pairs of earbuds have different sound signatures and neither set was particularly offensive in any way throughout my testing. There’s nothing that these do especially bad but nothing that I’d write home about either. Decent is the best word I can think of to describe them. Not good, not bad, just decent. The interesting thing is, that was not what I’d been expecting. I went into this test thinking that I’d want to throw these into the garbage the instant I started listening to them but I didn’t. While I did yearn for the higher sound quality of my better headphones, I wasn’t too terribly put off by these and, surprisingly enough, found that I was actually enjoying myself on a few tracks. 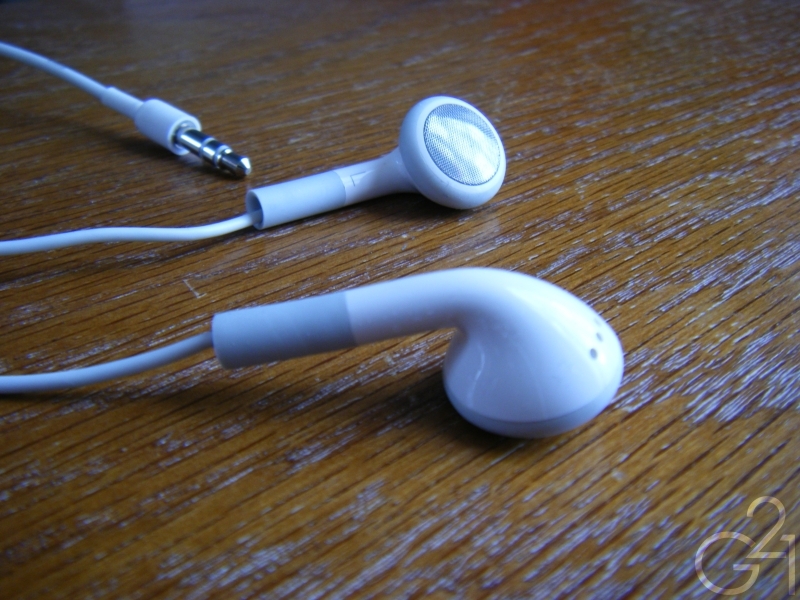 So, which pair of earbuds reigns supreme? I honestly don’t have an answer for you. Both the iBuds and Zune buds perform better than the other in different genres which makes it very difficult to choose a winner. The Zune buds have a fuller sound, better bass and a warmer overall sound signature but the iBuds are brighter, more open and pack a forward and slightly better detailed midrange. The differences in terms of quality are more or less negligible and which set you’ll like more is entirely dependent on personal taste. Personally, I slightly (very slightly) prefer the Zune buds because of their fuller sound and better comfort but I know that my opinion on the matter will not apply to everyone and your mileage may vary. 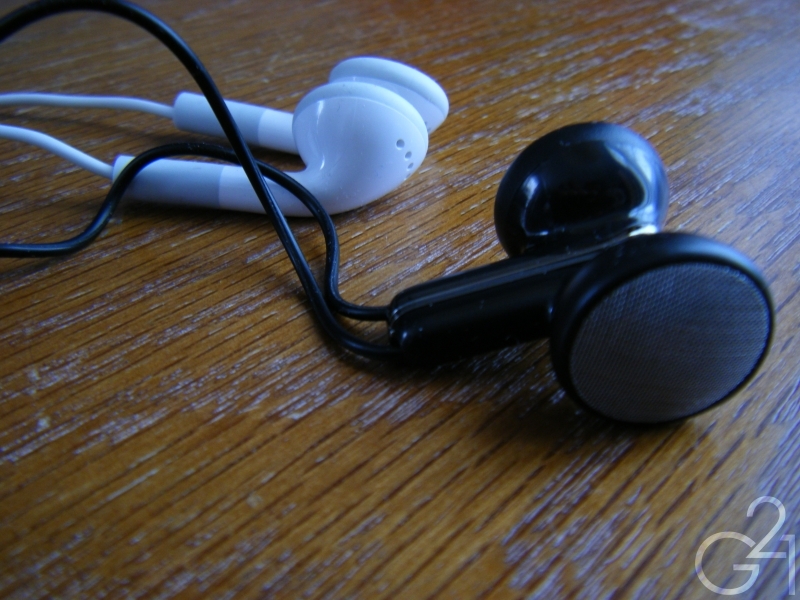 Many self-proclaimed audiophiles, myself included, are often very quick to disregard the stock earbuds that ship with MP3 players and usually toss them aside without so much as listening to them before plugging in their higher quality headphones of choice. Don’t get me wrong, there are definitely better options for listening to music on the go than stock earbuds and I’m definitely not going to choose either of these earbuds for serious listening over my better headphones and IEMs. I don’t think these get enough credit from the audiophile community and many people discount them as terrible sounding without giving them a chance. Are they amazing? No. As I said before, they merely sound decent to me but given my extremely low expectations, they’re a lot better than I thought they’d be. After doing this little test, I think more people should take the time to actually listen to these earbuds before discarding them. You just might be surprised by what you hear.